Anil Kapoor’s 62nd birthday turned out to be quite a day as hundreds of fans gathered outside Anil’s house in Juhu to wish him. He rang in his birthday with his family and cut a cake along with wife Sunita Kapoor and kids Rhea and Harshwardhan Kapoor. Both Sonam and Sunita had heartwarming wishes for Anil. 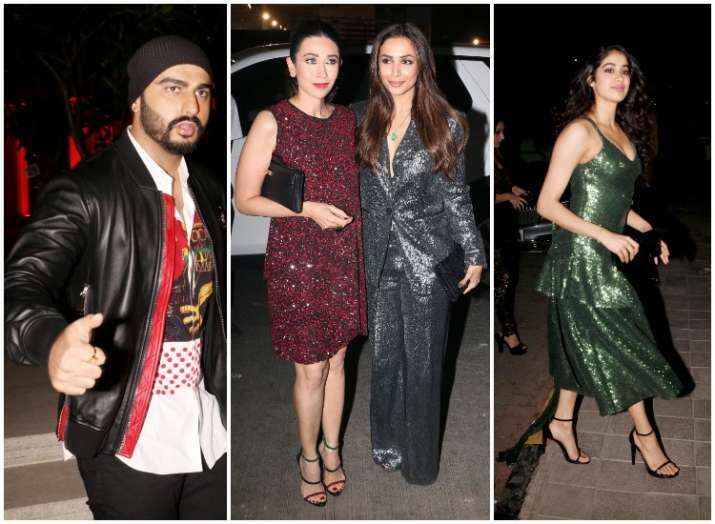 However, looks like the celebrations are just not over as the actor seems to have a perfect end to the night as friends and family attend his birthday bash. On the work front, Anil will soon be seen in Ek Ladki Ko Dekha Toh Aisa Laga which will also star daughter Sonam Kapoor. Apart from that, he will also be seen in Karan Johar’s upcoming film Takht and Indra Kumar’s Total Dhamaal. Meanwhile, Arjun Kapoor on his episode of Koffee With Karan finally admitted that he isn’t single anymore and also, that he is now ready for marriage. Malaika, in an interview though refused to divulge any details about her personal life, she said that she is enjoying her life as it is precious.